Clothes-recycling is far from an exact science. Garment recyclers must still sort textiles by hand, an inaccurate and time-consuming process that results in significant quality loss and waste. A possible light at the end of the tunnel? 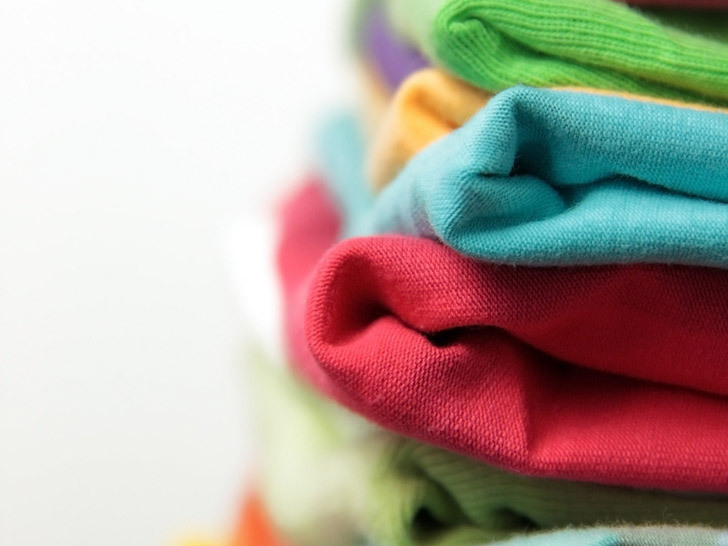 A Dutch consortium known as Textiles 4 Textiles has unveiled a new fabric-sorting machine that uses sensors to detect and divide fibers by chemical composition and color. Supported by a grant from Eco-Innovation, a sustainability initiative spearheaded by the European Commission, the technology could make it easier to shred and re-spin this month’s castoffs into next season’s fashions. Slated to debut in November after three years of development, the machine is said to be capable of wading through 4,0000 tons of textiles each year. It uses infrared light to identify specific fabric types before harnessing air-stream technology to “blow” each item into separate bins for wool, cotton, polyester, acrylic, and common fiber mixtures. Slated to debut in November, the machine is said to be capable of wading through 4,0000 tons of textiles each year. Although the sorting machine costs between €200,000 and €500,000 ($250,160 and $62,540), Textiles 4 Textiles says it will pay for itself quickly. Because fabrics are most easily recycled into fabrics of the same type, the value of textile waste increases when the composition of the sorted fraction is known. (To wit, the purer the lot is, the more it’s worth.) Fibers derived from the pulped and shredded garments are re-spun into new apparel or household textiles such as curtains and carpets. Shorter fibers can be used for building insulation and automobiles. “The trick is to develop better techniques to get quality fiber, but the beginning of that good quality is sorting,” Sander Jongerius, the project manager at KICI, one of the organizations involved in the creation of the machine, told the International Herald Tribune on Monday. The Dutch charity collects used garments in nearly 1,100 bins throughout the Netherlands, accounting for 30 percent of the 240,000 tons of clothing that the nation throws out every year. “We do this as business, but also from a sustainable point of view, we see a lot of material is wasted in Holland,” Jongerius added.